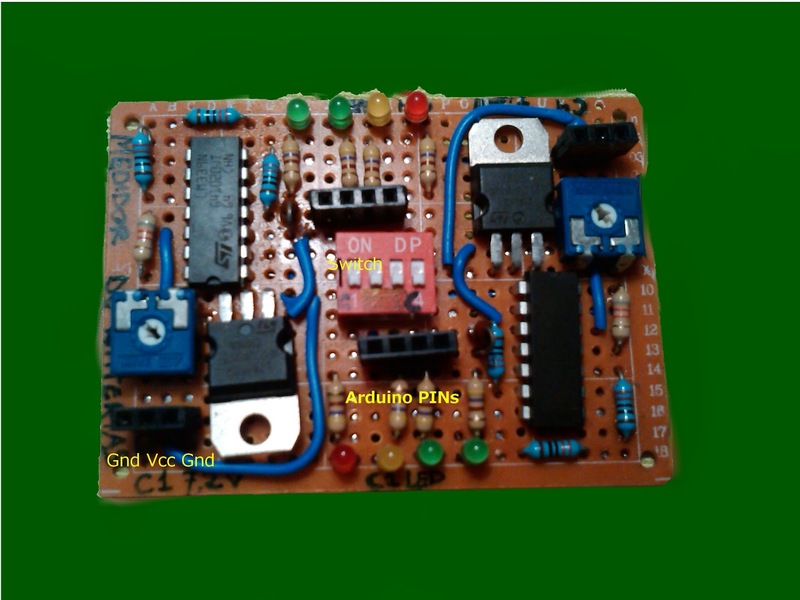 Si eres nuevo en el mundillo de la electrónica y quieres empezar creando proyectos con Arduino, deberías empezar por un Starter Kit. La mayoría de ellos suelen ser caros y cuando finalizas tu aprendizaje sus componentes no son muy útiles en su mayoría. 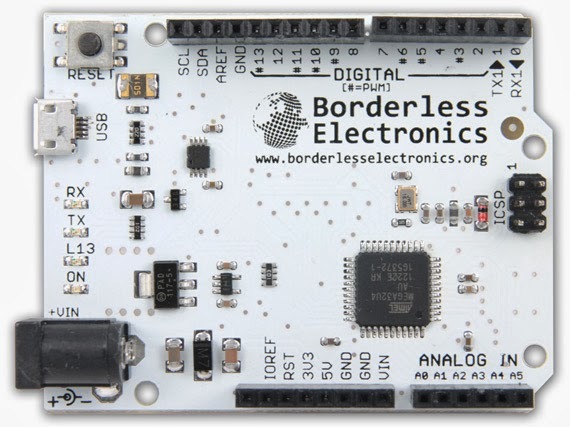 Borderless Electronics acaba de desarrollar un nuevo Starter Kit llamado BE MAKER. BE MAKER incluye 600 componentes distintos por solo 29$. Ademas incluye una guía completa, con vídeos, para aprender desde cero hasta el Internet de las cosas.Para completar el kit necesitaras una Arduino Leonardo, aunque también puedes comprar la BE BOARD, una Arduino Leonardo que solo cuesta 9$. En mi opinión, deberías adquirir la BE SHIELD también. Esta shield permite seguir los tutoriales de forma más sencilla, usando menos cables.Ademas, la shield es muy útiles para proyectos futuros porque incluye un puerto Ethernet y un zócalo para tarjetas microSD. La shield cuesta 15$, aunque si la compras con el pack te costara solo 10$. En el futuro subiré proyectos más avanzados usando la BE SHIELD porque permite realizar proyectos alucinantes sin mucho coste. Si quieres seguir tutoriales más complejos deberías primero aprender a usar el entorno arduino con este kit. En el caso de que sea un usuario más avanzado es una buena oportunidad para comprar un hardware extra a muy buen precio. If you are new on electronics and you want to start working with arduino, you should start with a starter Kit. Most kit's are quite expensive and then when you finish your lessons the kit become unuseful. 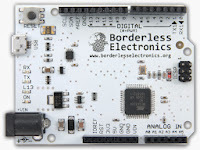 Recently, Borderless Electronics had developed a new starter kit. This kit is called BE MAKER. In my opinion, you should buy the BE SHIELD too. The shield permits to use the kit's without using a lot of wires. Furthermore, the shield is very useful for future projects, because includes an Ethernet port and a SD Card holder. The shield costs about 15$,but with some packages it only costs10$. I will update some tutorials using this shield because it will allow me to prepare some coll stuff. If you have your own robot, you will see that you run out of battery at the worst moment. You can prevent this problem using a Battery charge indicator. You only have to build an easy circuit that uses the integrated circuit LM339N. With this integrated circuit you will have a Battery charge indicator with five different's levels of charge. 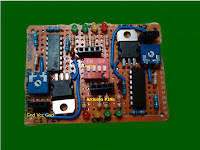 Also, in this tutorial we will see how to prepare this circuit to connect it on an Arduino. This circuit is calculated for 7.2 volts batteries. That means that ONLY works with 7,2 volts. If you need a Battery charge indicator for other batteries, you have to change the resistors. I can upload a post, if you ask for them on the comments. Here is a diagram with all the connections that we had to made. I recommend to test it on a protoboard before make any soldering. Before using it we have to calibrate the Battery charge indicator. To calibrate we have to connect a full charge battery and move the variable resistor until all the led's are switched on. Then you have a practical Battery charge indicator! If you have four led's on your battery is full charge and when all led's are off you have to change the batteries. In my case I have two independents circuits on the same PCB. I also added a switch that permits to use the circuits with out powering the leds. Instead of that, you can connect four wires ( one per each led) to the arduino and print the battery status wherever you want. It just work like a switch, you can get 0 (led off) or 1 (led on). 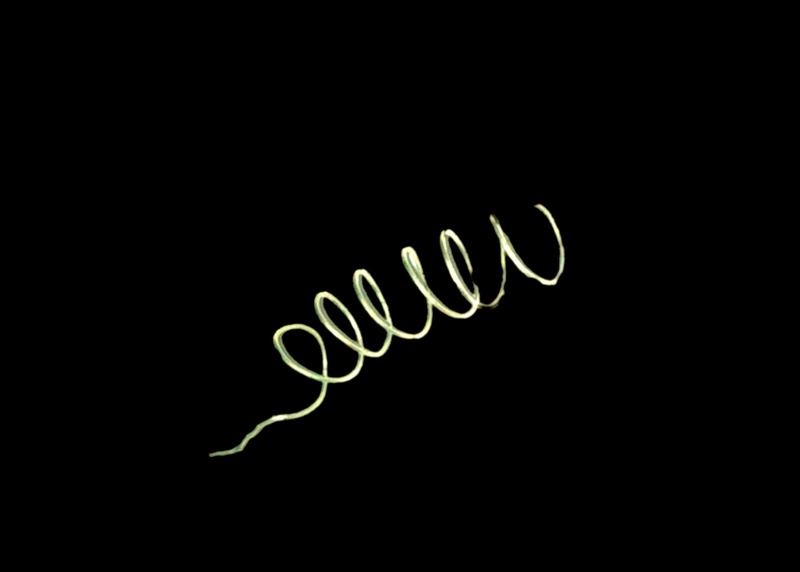 We have a problem when we want to send floats using Virtual Wire.If you read the previous tutorials, and you tryed to send floats, you probably got ? .Arduino haven`t got enought power for using all functions with floats. Some functions like sscanf or sprintf are implanted but with out all the functions. You can send strings, ints but not floats because the hardware isn't enought powerfull to suport this part of the function. In the final part of this tutorial we will see how to send multiple variables using virtual wire. Let's start then. There are a lot of forms to send multiple variables trough virtual wire. However,if we want to send different types of data or just send some int's, we can do in the same way, with this code. With Virtual Wire we can only send an string. So if we want to send other types of data, we need to convert this data into a string. Fortunately, there are a function to do this. Here is the following line of code that we have to add. The corresponding argument must be a pointer to a signed int. The number of characters written so far is stored in the pointed location. Now we must be able to send an string and receive it. However ,with this string you can't do anything unless you discompose it and storage on differents variables.For this new challenge we are going to use another function. This function is the opposite of sprinft, and let´s you to storage the information on differents variables. Compile the receiver code and add some cool things that use this data. // Message with a good checksum received, dump it. Please leave some comments, and send your ideas for new posts in this blog. Also, If you have a project you can publish it on my blog. Subscribe and add me to your Google plus circles. If you are reading this post, you have a Rf link kit working with the example code of Virtualwire. If not you should read part 2 of this tutorial. Today we are going to go through Virtualwire understanding all the functions of this library. Virtualwire is a library made by Mike McCauley. The library is distributed under an Open Source License. You can use it even if you are making money but you have to distribute your code with Open Source License. However, it's time to view all the functions of the library. vw_set_tx_pin(pin); This function just sets the transmitter pin. The default pin is 12.
vw_setup(uint16_t speed); is used to set the speed of the communication. vw_wait_tx(); is very usefull, you call it after sending the message and the arduino will wait until all the message has gone. Then the program would continue. vw_send((uint8_t*) message, message len); This function is used to send the message. To understand how it works we will decompose it. The function is vw_send(); inside it you have to put the message.So, you have to put (message, message len). It's very simple. Also, you have this part (uint8_t*), you have to write it before the message, it's like the function (byte*). Note: The function strlen(), is used to obtain the size of the string, the easiest way of doing that. vw_set_tx_pin(pin); This function just set the receiver pin. The default pin it's 11.
vw_setup(uint16_t speed); is used to set the speed of the communication. It must be the transmitter speed. vw_rx_start(); You must call it before receive any data. vw_have_message(); Returns true if message has been received. This is similar to the "available" function of most other libraries. vw_wait_rx();Wait for a message to be received. This will only return when a message has been received, otherwise it will wait forever, and the program won`t continue. vw_wait_rx(timeout_ms); In this case the arduino will wait until the time waiting is more than the max time that you set. vw_get_message(buf, &buflen) This function is used to store the message in a string. Buf is the name of the string and buflen is name of the variable that store the maximum size of the string.Then when you need data you take from buf. vw_rx_stop() Disable the receiver process. With this code you will be able to send string of data, but if you try to send a variable you will see that the Arduino IDE print some errors. In the next tutorial we will learn how to send multiple variables using Virtualwire. First of all we have to install the library Virtualwire on the arduino IDE. We have to open a folder named "libraries" and copy the folder VirtualWire, that you download before, inside. This folder is in the arduino folder where the program files are kept. Then we have to restart the arduino IDE. Let's prepare the hardware. First we going to set up our transmitter. In my case I will use an arduino Uno. We only need to connect the pin 12 from your arduino to the transmitter data pin. You have to look the data sheet because in function of the manufacturer the collocation of the pins could change. If you want to have good range you should connect the transmitter to a 9v battery. This modules can be powered between 3 to 12 V. More volts means more range.If you use more than one battery you must connect the grounds, if not it won't work. Also, you have to put an antenna. 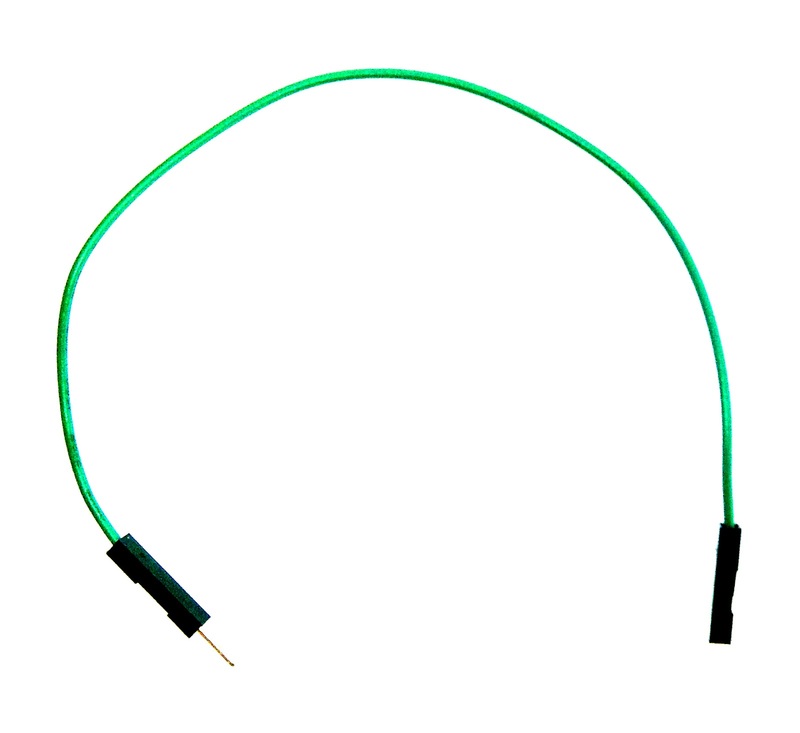 For this modules a simple piece of wire with 15 cm long will be enough. I found some antennas for this modules, so another option it's to buy the antenna.I couldn't try them yet. However, we have to connect the receiver. The connection it's similar. 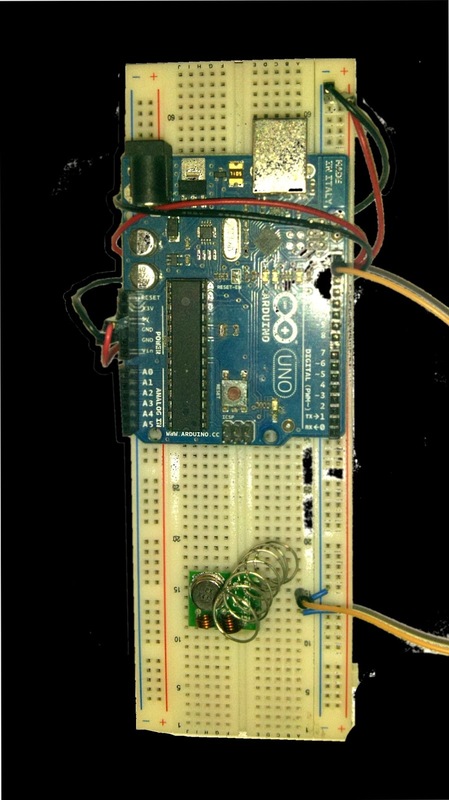 You have to attach the date pin to the pin 11 on your arduino board and power the receiver. 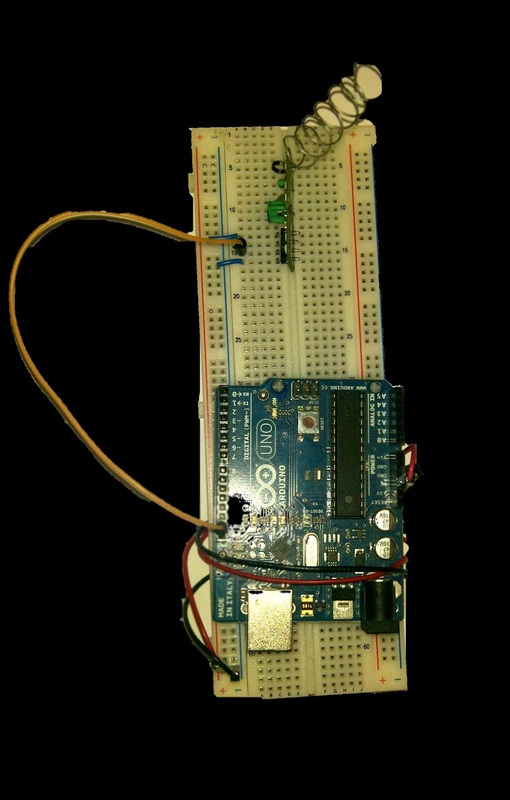 In this case you can power directly from your arduino because the receiver works with 5v. Also, you should put an antenna, the same as the transmitter will be enough. Equal to the transmitter, the receivers from different manufactures could have different pins distributions. Now it's time to charge the code. To be sure that all works fine, we will charge the example code. They two code examples are File =>Examples=> VirtualWire=> transmitter and File => Examples=> VirtualWire=> receiver. Then open the serial monitor and if you receive the data your set up it's correct.If not read "A tip for solve possible problems"
A good form to test if the problem is form your code or from your hardware, its making the connection trough a wire. Again you need to make sure that all the grounds are connected if you want a positive result. When you start making more complex projects, you will probably need to read a sensor far away from your arduino or read/send information between two arduinos. Sometimes you can use a piece of wire but when you can´t use it, you will need some wireless solutions. There are a lot of options but many of theme could be a bit expensive for some projects. Instead, you can use an RF link kit that cost about 3$ each!!. The most common frequency is 433 Mhz but you can find 315 Mhz kits as well. Whit this kits you can send data from one arduino to another. How a RF link kit works ? 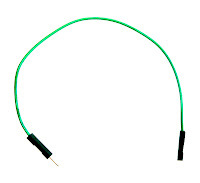 This kits use only one digital pin for transmitting (TX) and one pin for receiving (RX) the data. So, you have to take the data from one arduino, convert it in a binary sequence of 0 and 1, send it and then when you receive the binary sequence, transform it in data. Today, I'm starting a new project. In this blog I will try to resolve common problems that arise while you are developing your home projects. Furthermore, I will post some interesting projects to do in your free time and other interesting information about DIY electronics. However, I would like to post finished DIY projects from the followers and other interesting stuff. So you can propose your ideas and projects on google+ or send it to controlrobotics@rodrigomompo.com.